This coming Saturday we will be able to participate in the first October Global Big Day! Every year for the last four years Global Big Day has set new heights for a single day of birding. 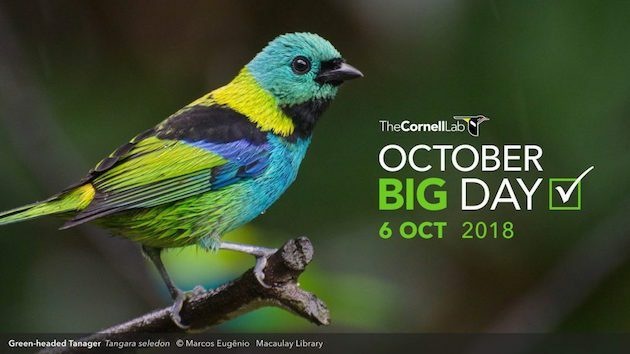 This massively international collaborative birding event has been so great Cornell Lab wants to have another worldwide eBird Big Day in October. Why October? Because spring is rejuvenating the southern hemisphere and the northern reaches of the world are in the midst of migration. No matter where you are, we’re confident you can find some great birds on 6 October. Let’s see what we can find together on the first October Big Day!